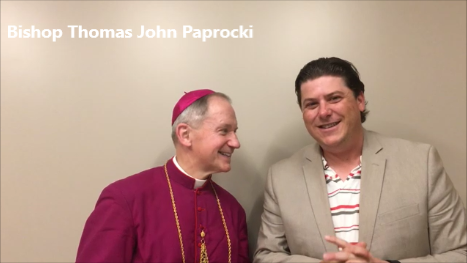 Founder & President of the Bob Emig Foundation, Aaron Emig, talks with Bishop Thomas John Paprocki, also known as the Holy Goalie, of the Diocese of Springfield, IL about Catholic Athletes for Christ’s vision and mission of combining sports and faith. The video was recorded at Ss. Peter and Paul Catholic Church in Collinsville, IL after the dedication and blessing ceremony of the new building.